This kit makes the most decadent chocolate cake. Ever. It's actually based on one of the recipes The Caker was founded on, which I once swore I'd never give away, but it's just too good not to share. The quality of the chocolate is the key, so inside the box you'll find the exact same chocolate we still use to bake this cake in our bakery everyday. The pecans lightly toast while the cake bakes and add an incredible crunch. Chefs Al Brown (Depot, The Fed) and Simon Wright (The French Cafe) have both given it nods of approval, which is hard to imagine of a cake from a box, but once you try it, you'll get it. All you need to add is butter and eggs. Best before 24 January 2020. To celebrate the release of our Flourless Dark Chocolate Cake Kit, I made a series of little videos, where I visit some of my favourite local chefs and watch them transform the cake into crazy desserts. In this pilot episode, I join Chef Al Brown in his test kitchen where he creates something so delicious that it's hard to believe a cake kit could be the base of it. Next up in my series baking with my favourite NZ based chefs, I visit Italian ice cream guru Giapo in his test kitchen. He uses his incredible molecular skills to turn our Flourless Dark Chocolate Cake Kit into an ice cream based dessert. It ends up a little messy but a lot delicious. Our flourless chocolate cake really takes this classic dessert to a whole other level of deliciousness. 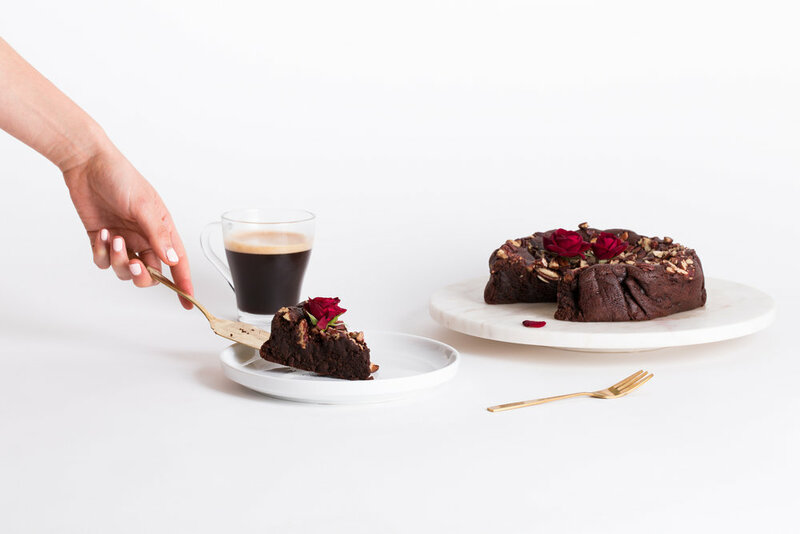 Bake your flourless dark chocolate cake according to your recipe card. Once cooled, cut into little cubes and pop 3 or 4 in the bottom of your serving glass or bowl. 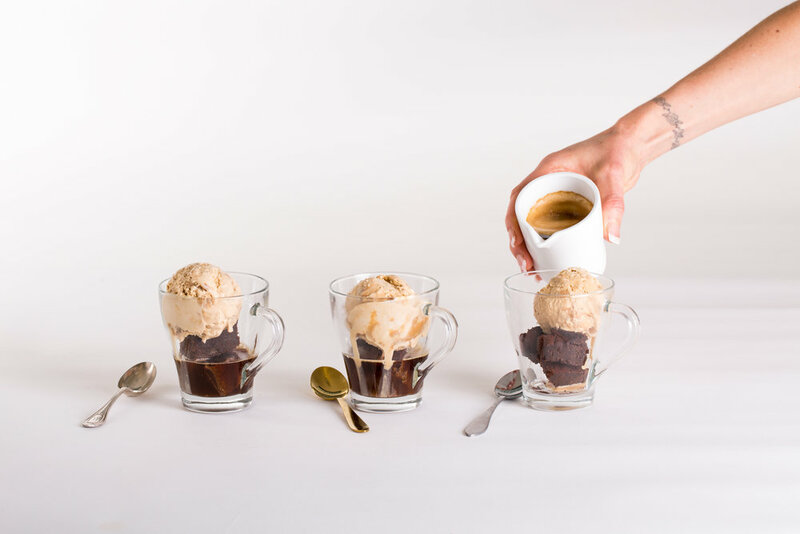 Top with a scoop of your favourite ice cream, pour over espresso and serve! 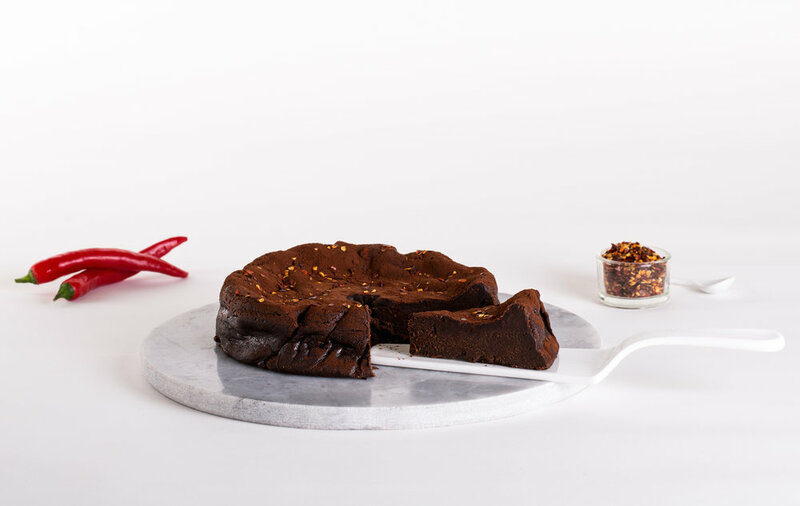 Chocolate and chilli may sound a little out-there to some people but it's fast becoming known as a classic pairing in the baking world. For something different, add a teaspoon of dried chilli flakes to your Flourless Dark Chocolate mix before baking. Scatter a few on top with your cocoa for an extra hit of heat! Once you've got your batter in its tin, dot a handful of frozen raspberries over, making sure to push them in - it's such an incredible addition to this cake. For extra flourish you can scatter Fresh As freeze dried raspberries over your baked cake as well. Your mix can also make 25-30 baby cakes! These are perfect for sharing around among friends or larger groups. Use a teaspoon do distribute your batter over the small cupcake tins or paper cupcake cases, making sure not to overfill them.